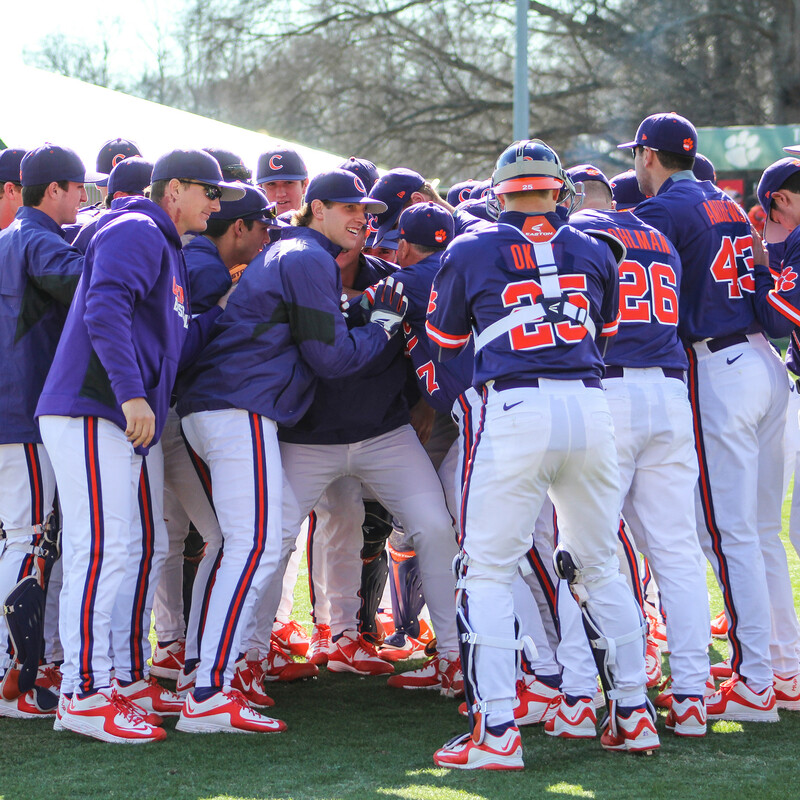 CLEMSON, S.C. – This weekend’s series between Clemson and Maine has been altered. 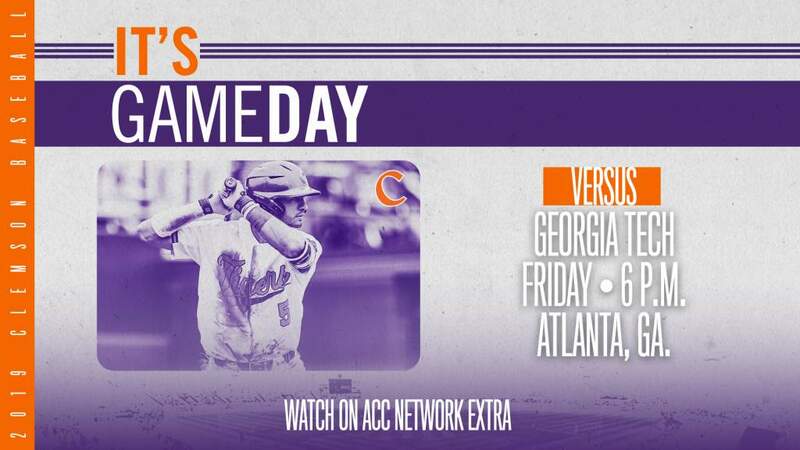 The two teams were scheduled to play one game each on Friday, Saturday and Sunday at Doug Kingsmore Stadium. 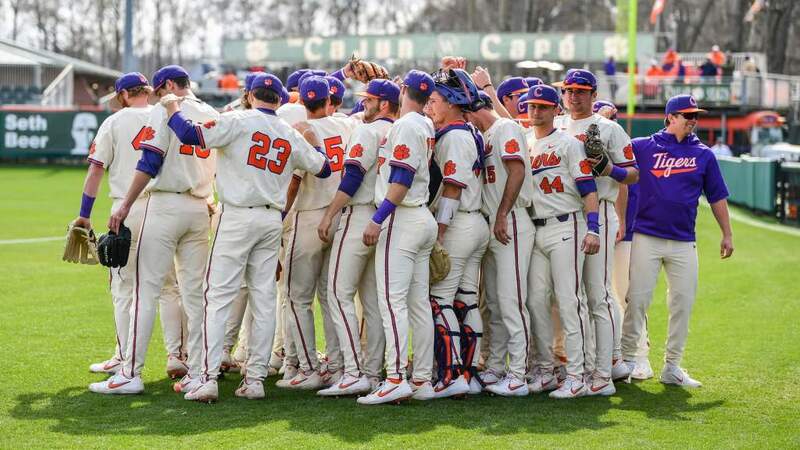 Every attempt was made to play the series at Clemson, however, freezing temperatures, forecasted precipitation and unplayable field conditions have forced the move to Lake Olmstead Stadium in Augusta, Ga.
Tickets for the originally-scheduled games in Clemson will be honored for the games in Augusta. Any tickets not used for admission in Augusta will be honored for general admission to any remaining home game, excluding the February 27 game against South Carolina. Please bring your unused ticket to a Doug Kingsmore Stadium ticket booth to exchange on gameday. Tickets will be sold at Lake Olmstead Stadium for $5 for Friday’s game. Fans can also purchase a ticket for $5 for Saturday’s doubleheader. Parking at Lake Olmstead Stadium is free all weekend as well. “Our field is currently frozen and unsafe for play,” said Associate Athletic Director Kyle Young. “Per discussions with experts at the National Weather Service office in Greer, temperatures over the next two days are not likely to rise above freezing, meaning the field will not be playable at all on Friday. “With additional frozen precipitation forecasted for Friday night and Saturday morning, we’ve determined that we will not be able to play, as originally scheduled, in Clemson. We regret having to move these games away from Clemson. We reached out to numerous locations in South Carolina where more favorable conditions are being forecasted, but many were not playable or were already booked. 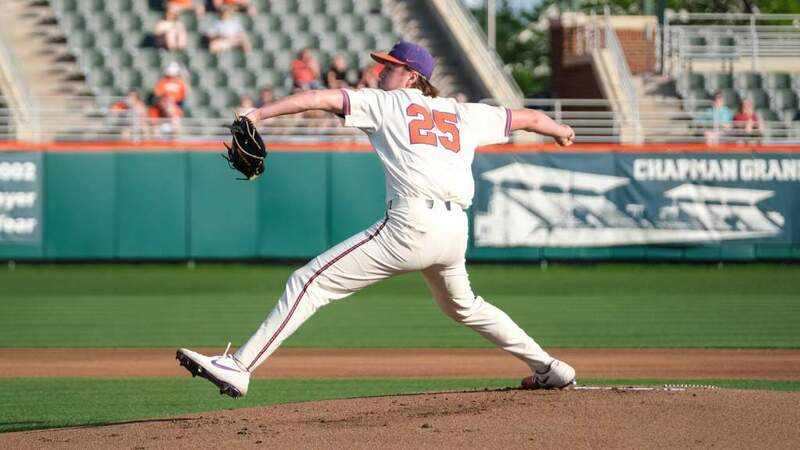 “We have been in discussions and looking for options with Head Coaches Jack Leggett and Steve Trimper since Monday, and along with travel considerations for both teams, we have determined, if the games are going to be played at all, that it’s imperative to make this change. “There are several teams across the Mid-Atlantic region and Southeast that have been scrambling to locate a site where they can play. 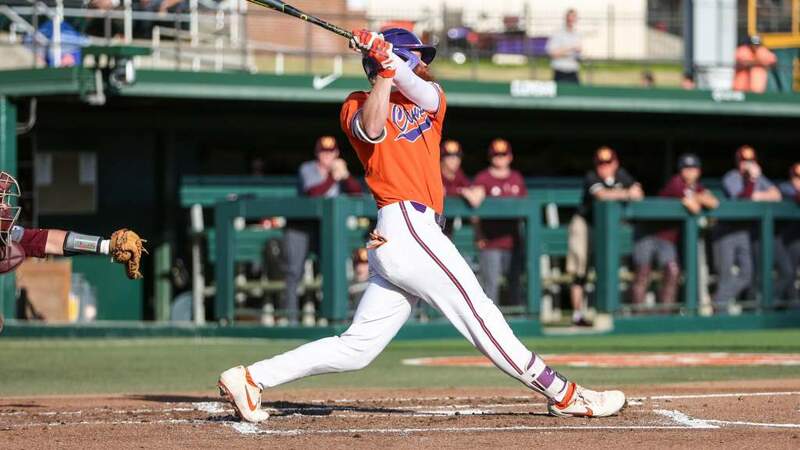 North Carolina and UCLA, who were scheduled to play a three-game series in Chapel Hill, N.C. this weekend, have moved their series to Orlando, Fla.
All three games will be broadcast on the radio by WCCP (105.5 FM) out of Clemson. Live audio will also be available on TigerCast. However, there will be no video on TigerCast. For the second game of the doubleheader on Saturday, the game will be broadcast on WCCP (105.5 FM) until 3:30 p.m., when the coverage turns to the Clemson men’s basketball game at Duke, which begins at 4 p.m. Fans can still listen to the entire second game of the doublehader on TigerCast. Friday’s game was scheduled to be Bobblehead Night at Doug Kingsmore Stadium. With the change of venue, Bobblehead Night is now scheduled for Saturday, March 28 for the Wake Forest game.